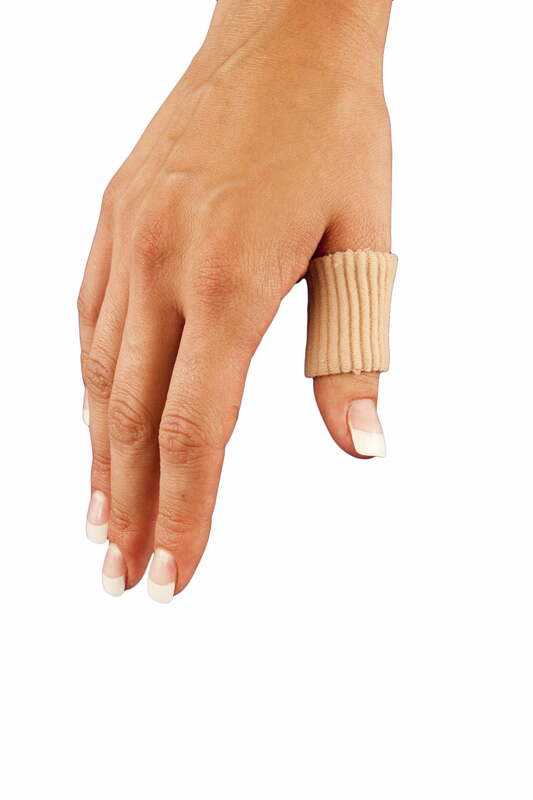 Bunga Gel Tubing™ is lined with polymer gel for all around finger and toe protection. 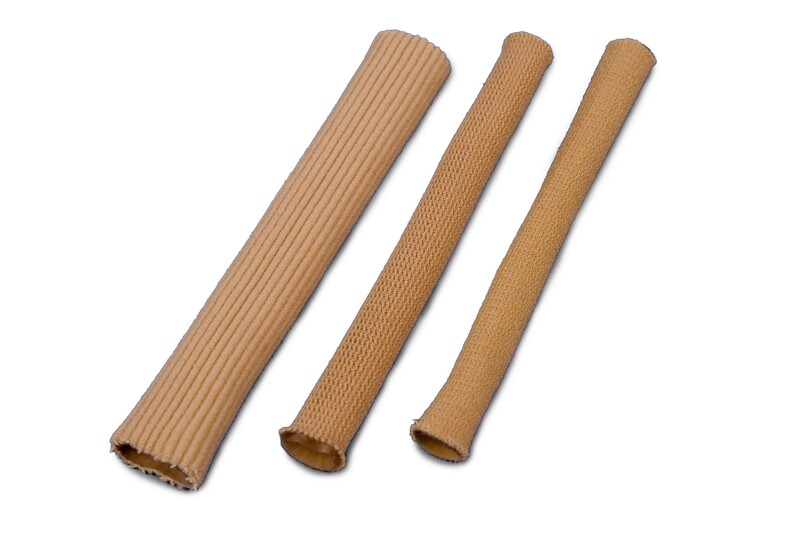 This pad uses less room than foam tubing and will not bottom out as foam materials do. Thus, the gel tubing will protect against and reduces shear force, pressure, shock and vibration. The gel itself will help to reduce scar tissue and to moisturize your skin. 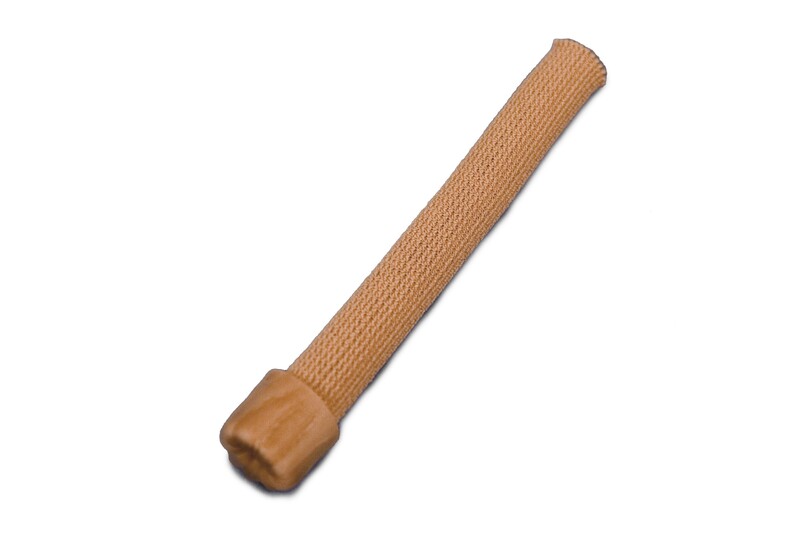 The comfortable yet durable tube can be cut to the size required for toes and fingers. The Tubing comes in various sizes approximately 1/2", 3/4" and 1". The small tubing is approximately a 1/2" x 6" tube made with a horizontal tight stitching. This tube is used for small toes. 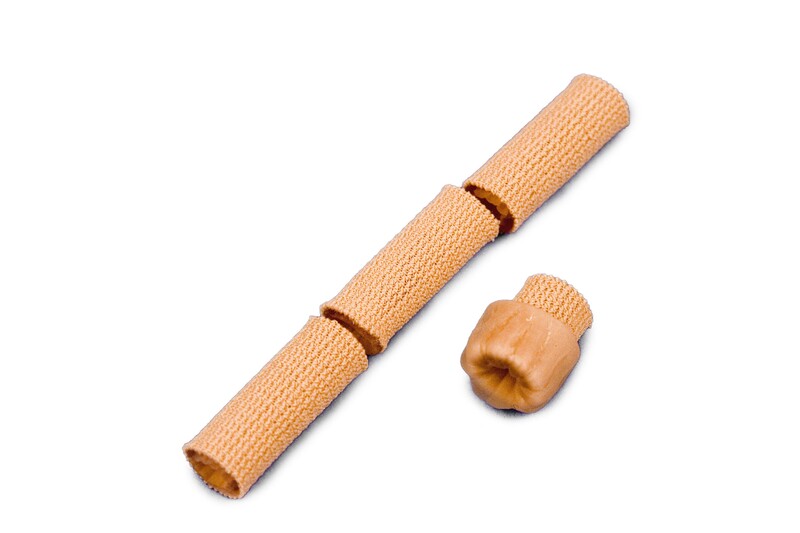 The medium tubing is approximately 1/2-3/4" x 6" tube made from a mesh tubine which is slightly looser than the 1/2" tube and is used for the middle toes and fingers. The 1" tube is 6" long and is designed for the large toe. Sold Individually.